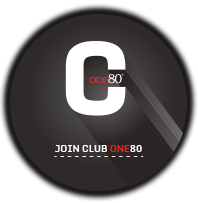 Sign up to Club One80, our free loyalty programme, and receive exclusive offers and discount. You will also be the first to hear about our latest news and up-coming events. Your browser does not support iframes. Click here to join instead. We will send you an email in order to confirm your registration to Club One80. Please check your emails and add dine@one80restaurant.co.nz to your safe senders lists. By providing your contact details, you agree that One80° Restaurant may contact you with news, information and special offers from One80° Restaurant. Details of how to unsubscribe from Club One80 will be included with each email we send you.